Hi guys! I’m back with a quick post. 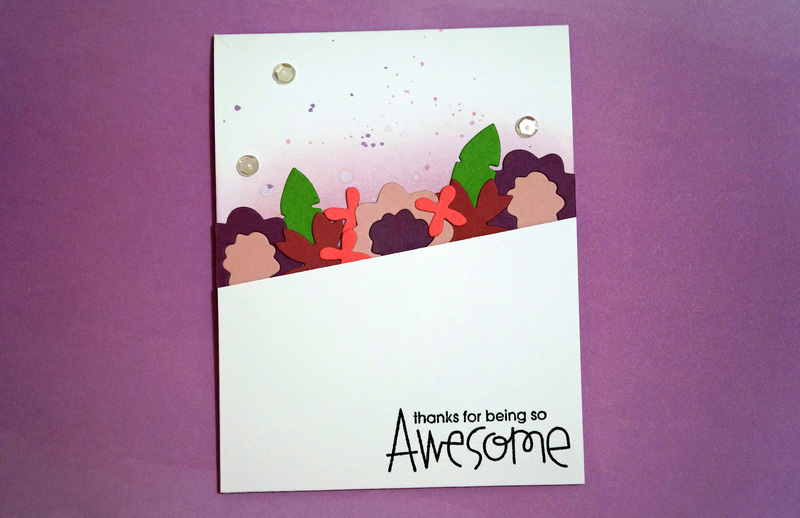 I wanted to make a spring themed thank you card for the Paper Smooches SPARKS Anything Goes Challenge. 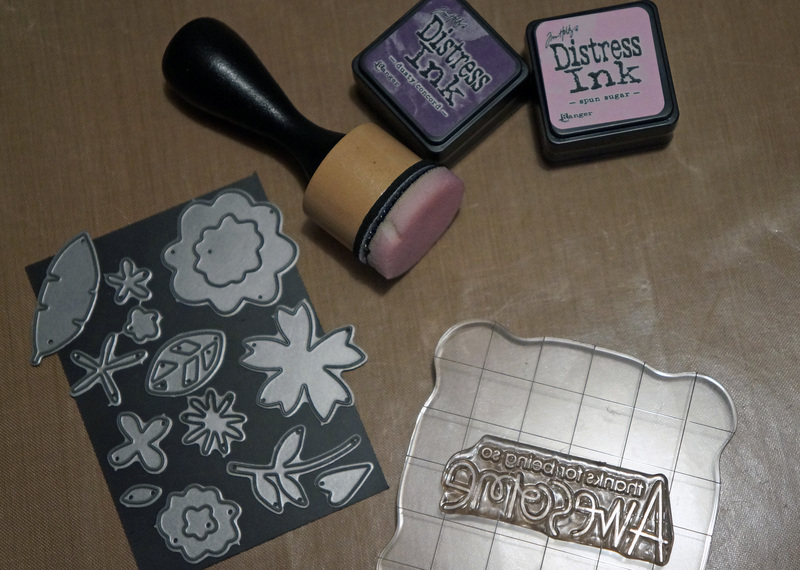 I used Paper Smooches’ Uplifters stamp set and Flower dies. I used the Ranger Blending Tool and Distress Inks to create a soft background for the flowers. For the paint splotches (is that what you call it? ), I used the Tim Holtz Water brush with Papertrey Ink ink pads. I cut the flowers out of Papertrey Ink Paper and glued those on top. I added some sequins to finish off the background. I cut my card stock at an angle to have the flowers popping out behind it and stamped the sentiment with Memento ink. I hope you guys have an awesome weekend, I’m planning on spending time in my craft room to see what else I can come up with. Thanks for stopping by! Next Post Smile, It’s Your Day!